It’s a good day here at RAGGED HQ. 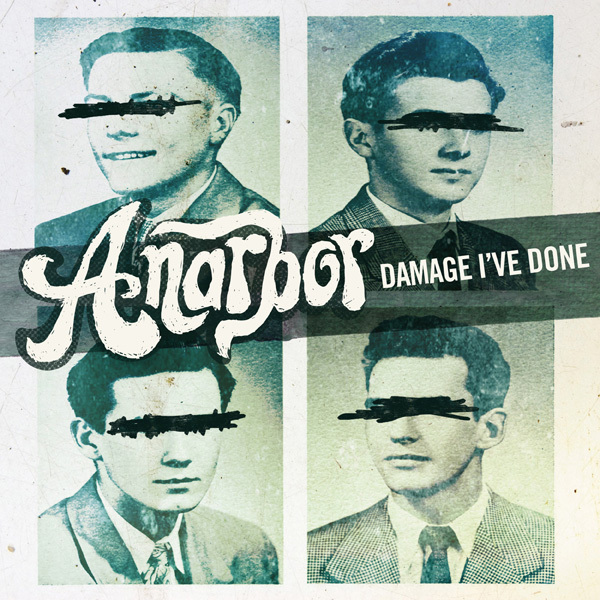 As we’ve been anxiously awaiting a new album from our friends in Anarbor, we’ve been given a listen to the first single from their upcoming album due out Spring of 2013! Titled “Damage I’ve Done,” the track bounced and bopped its way immediately into our hearts. 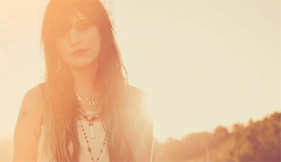 With worries about getting older and living with regrets, the track is as poignant as it is catchy. Needless to say, we can’t wait to hear what else the band has in store for their upcoming album. Listen below to our exclusive premiere of “Damage I’ve Done” and head to iTunes to purchase the single now! And don’t miss our interview with the band in the new issue of RAGGED, which you can download here for free. Tour info & ticket links here! Anarbor singer Slade Echeverria and guitarist Mike Kitlas met in kindergarten, long before they’d ever heard of things like Warped Tour and punk rock. “We were friends before anything,” says Echeverria. 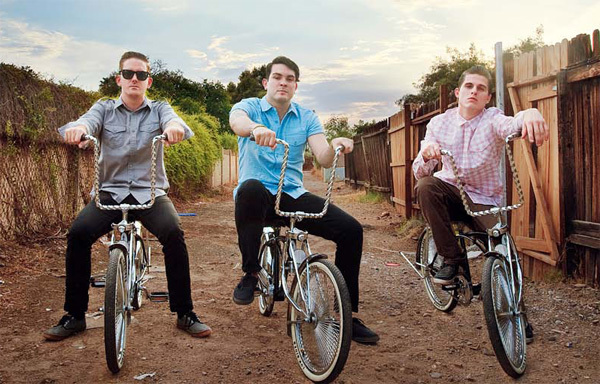 Along with their good friend Greg Garrity, they spent their childhoods in Phoenix, Arizona, hanging out and going to see pop-punk bands like The Starting Line and RX Bandits. One day in middle school, Slade, Mike and Greg had the sudden inspiration to start a band. Each picked his instrument on the spot, and the trio started practicing at a breakneck pace. 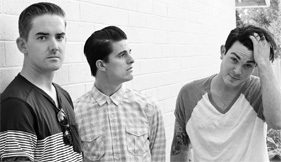 By the time they graduated high school, Anarbor had signed a deal with Hopeless Records and were touring all over the United States. 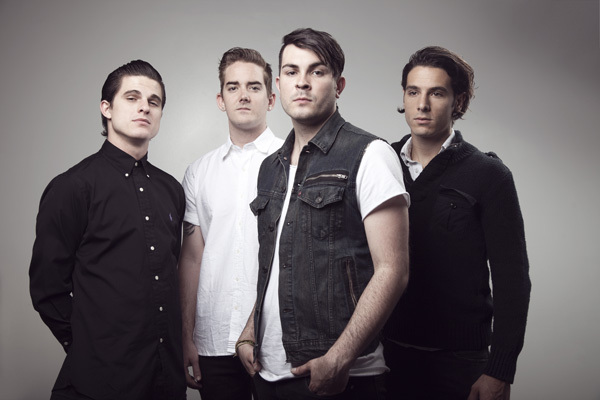 Since then, Anarbor’s music has popped up on the Billboard charts as well as in the background of TV shows like MTV’s The Hills and Jersey Shore, NBC football broadcasts and, famously, a Scooby-Doo television movie. Fresh off recording their newest full-length album—which doesn’t yet have an official title or release date—in Nashville, Anarbor are eager to talk about it. An early version of the muscular party anthem “Whiskey in Hell,” slated to be included on the new LP, has already been gaining online buzz. RAGGED caught up with Echeverria, Kitlas, and new guitarist Dave Melillo at home in Phoenix to discuss getting out of their comfort zones, early influences and Scooby-Doo characters. 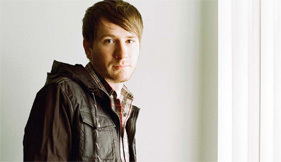 Adam Young of Owl City began making music in the basement of his parent’s house—this is no secret. 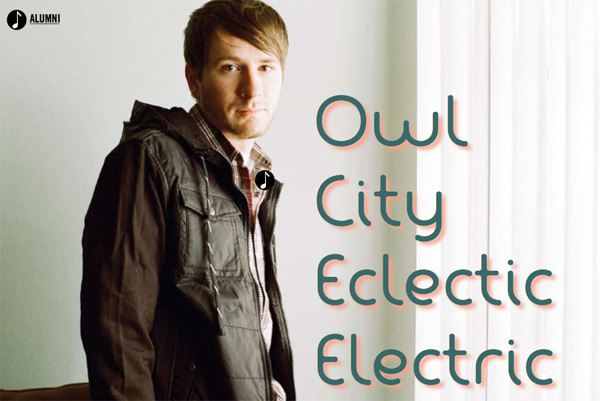 In fact, this intimate bedroom approach is the very thing that helped Young’s solo project, a notable mix of singer-songwriter, synth and electronica, find its start all the way back in 2008—most notably when Owl City released its chart-topping radio hit, “Fireflies,” in late 2009. 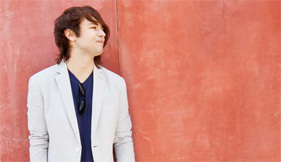 Here, we catch up with the RAGGED 11 star (check out his archived issue here!) before he takes off on a huge late summer tour to discuss Owl City’s new album, live performance and impressive list of contributors and collaborators. 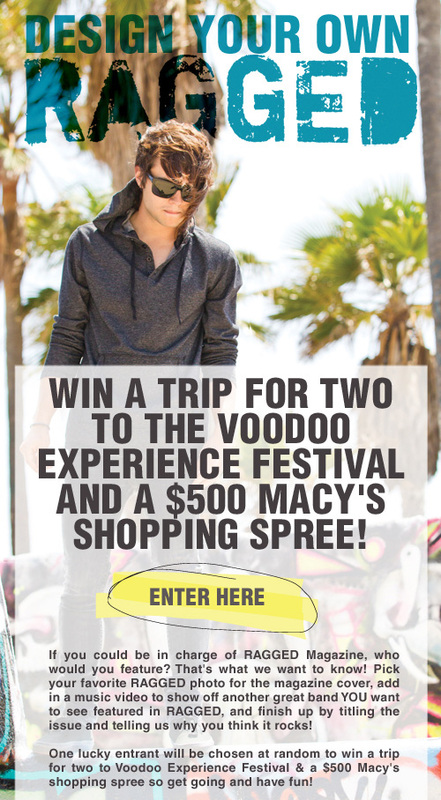 Design Your Own RAGGED to Enter to Win a Trip to Voodoo Festival & $500 Shopping Spree! If you could be in charge here at RAGGED, who would you feature in the magazine? That’s what we want to know in our brand new contest! Head to facebook.com/AmericanRag to get the process started where you get to pick your favorite RAGGED photo for the magazine cover, add in a music video to show off another great band YOU want to see featured in RAGGED, and finish up by titling the issue and telling us why you think it rocks! And yes, we did mention this was a contest, so one lucky entrant will be chosen at random to win a trip for two to Voodoo Experience Festival in New Orleans this fall and a $500 Macy’s shopping spree! You have until October 8th to submit yours, so get going and have fun! 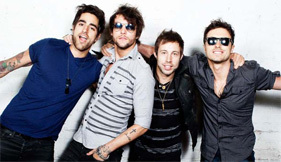 Block by block, in town after town across the world, Boys Like Girls have rocketed themselves into global stratosphere stardom using nothing but their potent blend of pop-punk jet fuel, crashing like a neon-rhinestone, leather-studded wave into cities near you since 2006. But what happens when you finally attain orbit and find yourself, well…just floating? 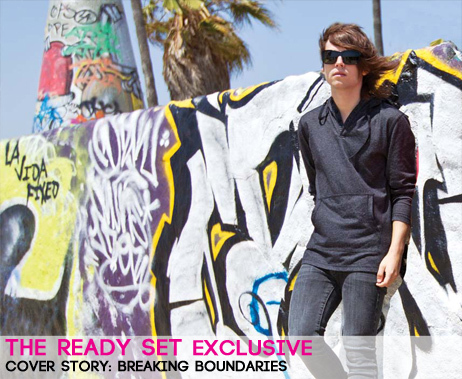 “We grew up on the road, all over the world,” says frontman and songwriter Martin Johnson, “and we wanted to move on to newer paths.” If you ask him, Boys Like Girls are no longer mere teens interested only in cheap beer, fast riffs and hot girls. The past year has been a formative one for the band —- Johnson, guitarsmith Paul DiGiovanni, drummer John Keefe and bassist Morgan Dorr -— during which they found themselves forced to scrap a whole record and totally redesign themselves. To Johnson, the music world had become over-saturated with the robotic, cold- hearted sounds of electronic dance music. Disillusioned with the gadget-obsessed modern world, the band delved into Americana, country music and an old-school focus on songcraft in Nashville. The result is Crazy World, a sweet and sour blend of sun-warmed pop, down-home rock and singalong anthems ripe for both the rainy-day blues and a blue-sky cookout. RAGGED recently chatted with the affable and worldly Johnson from the front porch of his new home about what it’s like writing songs in the country music capital of the world, being a rock band in the modern scene, the wonders and pitfalls of technology, and the raw and undeniable power of music. If you’re looking to unplug, slow down and turn it up this summer, be sure to put Crazy World at the top of your playlist.